A printed photo is something special - even in today’s digital age. Perhaps even more so. In 2017, I began printing more of my work. Printing your photos is rewarding. And it will make you a better photographer. Below is a series of videos to help you enter the world of printing. I hope you find these both useful and informative. 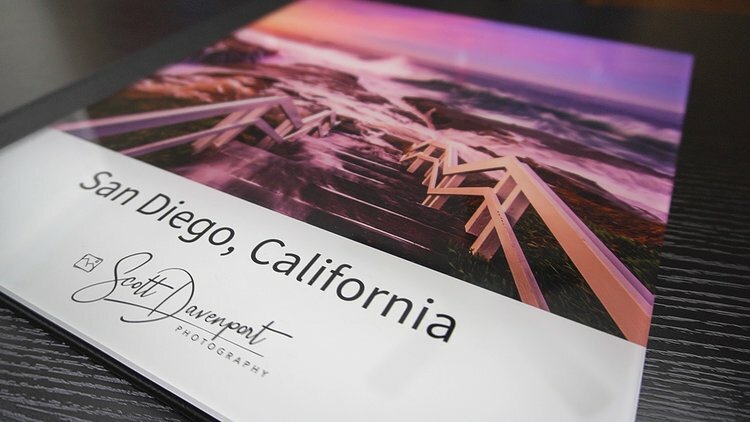 Simply put, I believe printing your work will make you a better photographer. You see things on the printed page that you don’t see in the camera or on screen. It’s also very satisfying to share your work through a physical print. With so many photo printers out there, which one should you buy? In this printing-themed video, I share 5 things to consider when selecting a photo printer. My goal with this video is to ask yourself the right questions about your printing needs. Your answers will guide you to the printer that’s right for you. And I know you’re curious…. I print on an Epson SureColor P800. In this video, I show how to color calibrate your printer with the X-Rite i1 Studio. I also show how to access the ICC profile in the Lightroom Print module. A feature I really like about the X-Rite i1 Studio is the ability to save progress and continue calibration later. Color calibrating a printer can take a while. I chose the i1 Studio after speaking with X-Rite at a photo show, seeing their product in action, and its solid reviews. The i1 Studio can calibrate a variety of devices: monitors, laptops, printers, mobile devices, and scanners. In this video, I show you how to install ICC profiles for Red River Paper and create a Lightroom print template to use them. Also discussed is the importance of printer settings, especially for thicker paper stock. Printed photos appear differently than images on a screen. Soft proofing helps us prepare an image for a particular printer/paper combination, so your final print is much closer to how it looks screen. It requires a little work, however it’s not a huge process. I’ll show you everything you need to know. Printing with a print lab is quite similar to printing at home. A good print lab makes ICC profiles available for their processes and print hardware. In this video, I show the steps I take to prepare a photo for a lab print. The lab I’m working with in this video is Saal Digital, who print beautiful photobooks.. In this video, I show you how to install ICC profiles for Red River Paper and use them in ON1 Photo RAW Also discussed is the importance of printer settings, especially for thicker paper stock. One of the goals of my ongoing black & white photo project is a set of prints. I have reached a point in the project where I have 6 to 10 solid images, so it was time to start the test prints. In this video, I talk about some of the various Red River paper stocks I’ve tried, what I like best so far, and why. In this video, I present an overview comparing a photo print size to a photo file size. The two are different and are driven by different factors. If you are wondering how large you can print one of your photos, check this video out. Interested in printing a photobook? I share a few tips and tricks to laying out a Saal Digital Professional Photo Book. Saal Digital has free design software to help you quickly and beautifully layout a photo book and send it in for print. I’m really happy with the results! Get a US$20 voucher from Saal Digital on your next photo book. I print my work on Red River Paper. You can support my work by using one of the links below to purchase your next set of paper from them. It doesn’t cost you a penny extra. Here are a few of my favorite Red River papers. Polar Gloss Metallic 66lb: I use this paper for a lot of my color work. The photos on the walls behind me are printed on this paper. The surface gives your prints a metallic, iridescent quality. Pecos River Gloss 60lb: I am thrilled with how my black and white work looks on Pecos River. The nuances in deep shadows are retained and details are crisp. I also use a greeting card stock of this finish for color work. A great, all-around paper. UltraPro Satin 68lb: The UltraPro Satin runs a very close second to Pecos River for my black and white work. Polar Matte 60lb: On occasion, I print on a matte surface for a fine art look. I generally reserve these types of prints to greeting card sizes. Save $US20 on a professional photobook from Saal Digital I’ve printed a couple of books already and am very, very happy with the results.